The popular How Do Dinosaurs... series continues with a hilarious look at dinosaurs at dinner time! 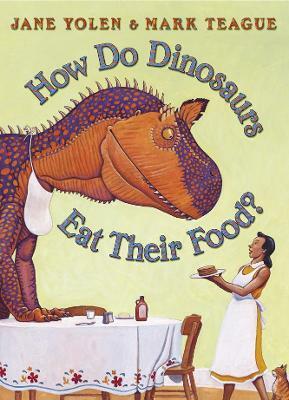 When dinosaurs eat their food, what do they do? This book runs through the gamut of mealtime bad behaviour, satisfyingly concluding with impeccably behaved dinosaur dinner guests: 'Eat up. Eat up, little dinosaur.' A sure-fire winner with parents of young children - it will be an invaluable help with meal time manners.